Do you have stray cats around your property that are becoming a nuisance? Cats are great at ridding an area of mice, but they can also cause a variety of problems. 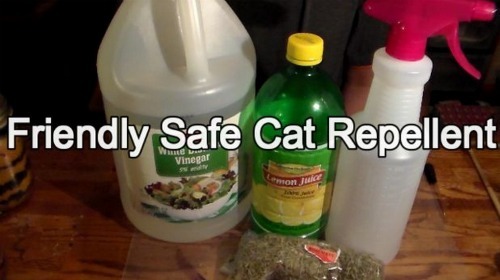 If you have cats that are causing a problem, then a really effective solution is to use a homemade cat repellent. A homemade cat repellent can be used on plants and furniture that are indoors or outdoors. You will be making a liquid that needs to be sprayed where you do not want cats to go. The key to making a simple repellent is using special ingredients that are all natural. The ingredients that are used to make a homemade cat repellent are highly acidic. Cats will not like the taste of the repellent and will keep far away from areas where it is used. A spray bottle is the only item you need to use to apply the repellent.